Elementary Matters: Young Teachers or Old Teachers? 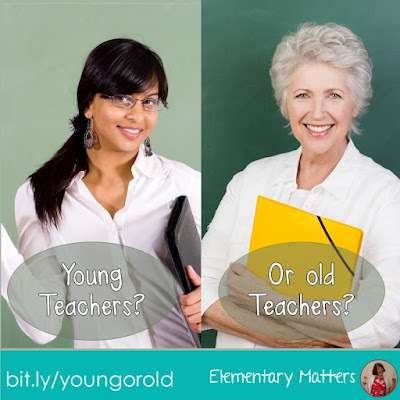 Young Teachers or Old Teachers? 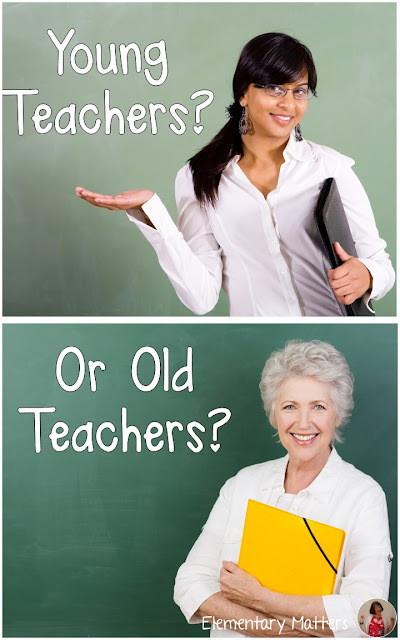 Who is actually better at teaching, the young teachers, or the old teachers. First of all, I've taught for 40 years, so I prefer to use the term "Veteran" teacher! 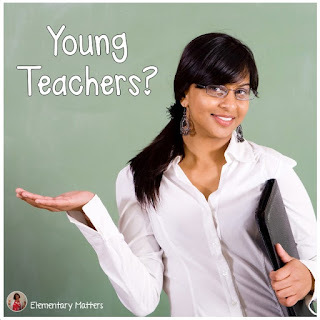 *Young teachers are enthusiastic and energetic. *Young teachers have new ideas. *Young teachers are better at computers and technology. *Young teachers are closer to the age of the students, therefore relate more to their students. *Young teachers are more eager to learn more about teaching. *Young teachers have better fashion sense, and are more attractive. *Young teachers are more flexible with changes. *Young teachers are less reliable. *Young teachers are less loyal. They are more than willing to leave a school district for a better paying job. I'm sure you could add to this list! Now here are some stereotypes about "Veteran" teachers. 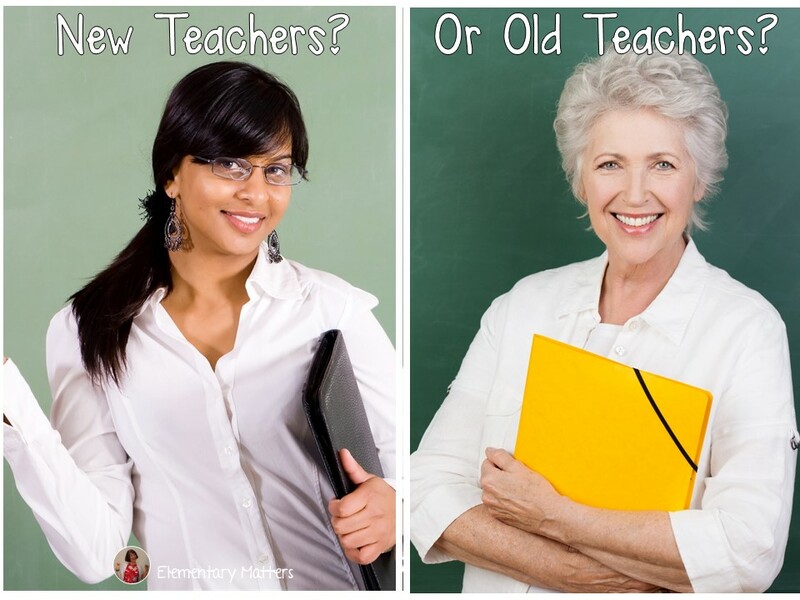 *Older teachers are less flexible and set in their ways. *Old teachers are just waiting until they can retire and don't really care anymore. *Older teachers prefer older methods, like chalkboards and worksheets. *Older teachers have trouble with computers and technology. *Older teachers are burned out. *Older teachers are more experienced, and can boost test scores due to their experience. 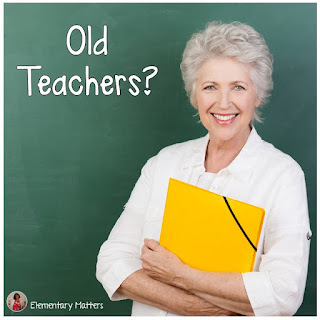 *Older teachers have a lot of tricks up their sleeves. *Older teachers should be given the more challenging students, because they can handle them. *Older teachers have proved their loyalty to their school by staying as long as they have. *Older teachers know the history of the school. I'm sure you could add to this list, too! I'm sure you know teachers who fit these descriptions, and I'm sure you know teachers who don't. How many of these stereotypes are true, and how many are not? 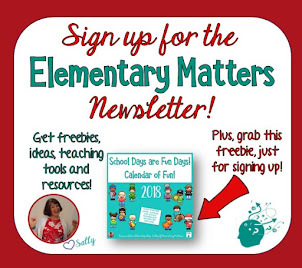 I'll suspect you know this: it depends on the individual teacher! *I've known young teachers who have a lot of tricks up their sleeves, and I've known veteran teachers who are enthusiastic and energetic! 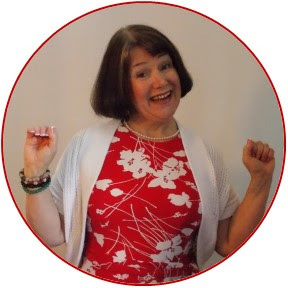 *I've known young teachers who can handle the challenging students and veteran teachers who are flexible and can relate well with the students. 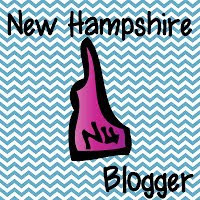 *I've known young teachers who struggle with technology, and I've known veteran teachers who are quick to find a better paying job elsewhere. Honestly, I find schools work best with a balance of young teachers and veteran teachers who have the above qualities. What would you add to the list above?